What's The Future Of This 4-Time MLA? Elections for Seven MLC Seats will be happening in Telangana prior to the 2019 Lok Sabha Polls. To win an MLC Seat, Each Candidate should be able to obtain the support of 15 Elected MLAs. TRS won 88 Seats in the recent Assembly Polls. Two Independent MLAs joined the Ruling Party soon after the elections to take the tally to 90. Which means, TRS could win 6 MLC Seats in MLA Quota comfortably. Term of 9 MLCs in Telangana will be completed by March 2019. This include Council Chairman Swamy Goud, Paturi Sudhakar Reddy & P Ravinder from Teachers Quota, Shabbir Ali, T Santosh Kumar, Ponguleti Sudhakar Reddy, Mahamood Ali, Mohammad Salim and MS Prabhakar Rao in MLAs Quota. 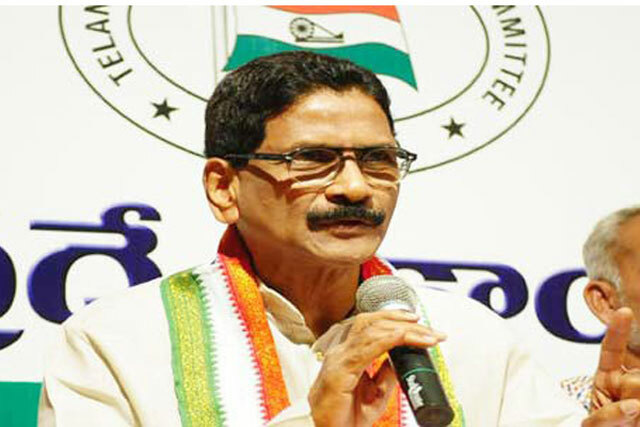 4-Time MLA Marri Shashidhar Reddy who was denied Sanathnagar MLA Ticket in the recent elections could be Congress MLC Candidate in MLAs Quota. As per the strength in the Assembly, Congress could win only one MLC. Revanth Reddy, DK Aruna and Shabbir Ali are in race for Council Membership. It's A Collective Failure Of Modi & Babu!